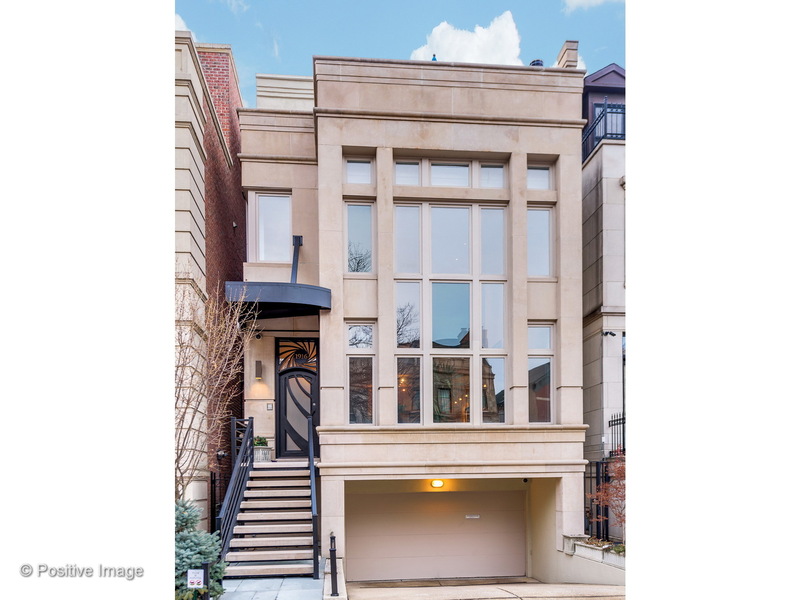 Sensational Metlzer Hull home on premier East Lincoln Park block w/ great contemporary design throughout. Dramatic, two story living room w/ full wall of windows, flooding the home w/light. This home is great for entertaining w/ space for an oversized dining table, true butler&apos;s pantry w/wet bar, & a chef&apos;s kitchen w/all high end, stainless appliances. The adjacent great room offers a wall of built-ins & a fireplace & gives direct access to the tiered outdoor space & yard. Upstairs you will find 2 bedroom suites+a loft space that overlooks the living & dining. Top floor master suite w/ 2 decks, fantastic closet space, & an oversized bath w/ steam shower, dual sinks, & great storage. There is also a separate space for an office on this level. The lower level has a 4th bed & bath, wine cellar, mudroom, storage, & access to the attached two car garage. A smart layout, superior outdoor space, and an A+ location make this a home not to be missed! Oscar Mayer School!